"OUR MINDS ARE BLOWN. TailoredMail is enabling email to do things we never thought were possible. " TailoredMail offers cutting-edge email marketing and internal communications that boost audience engagement rates by two to five times over other solutions. 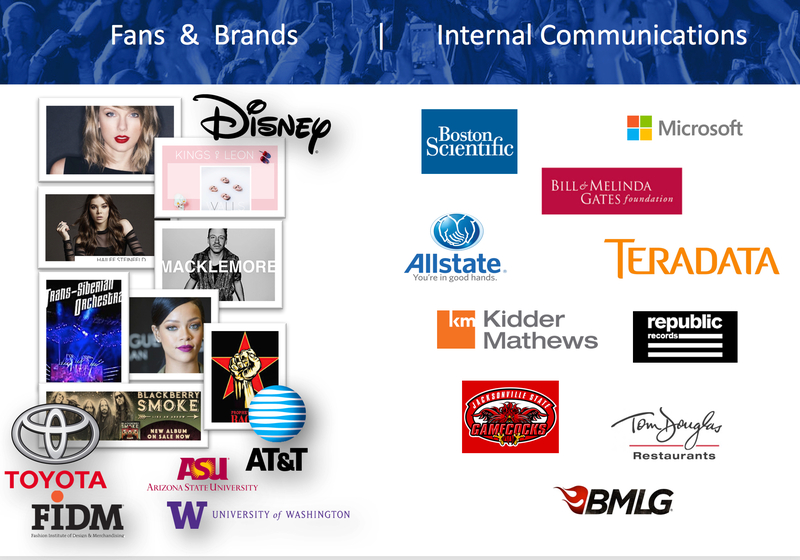 In use with brands/artists such as Taylor Swift, Macklemore, Bill & Melinda Gates Foundation, Toyota of America, and the Fashion Institute of Design (FIDM), TailoredMail offers embedded video, dynamic content, geo-targeting, searchable microsites/landing-pages, automation, and native integration with Twitter, Facebook, and CRMs. Our technology makes it dead-simple for marketers to create and send content that’s visually interactive, deeply personalized, and mobile responsive. We often tailor the application and interface to match our client’s workflow and unique business needs – something never found in competitors. We also offer unlimited training and support via a dedicated account manager - who assists in setup, strategy, deliverability, and reporting analysis. We’re an innovative communications partner for both today and tomorrow’s marketing challenges. TailoredMail has been quietly and secretly building one of the most innovative email marketing and automation solutions you'll ever find, and doing it via close and strategic relationships with our customers. If you choose TailoredMail, the first thing you'll notice is how carefully and quickly we transition you from your current provider without any pain or interruption, and then provide you with a dedicated Account Manager - an expert in using the system and in training all your staff - to constantly advise and help you when you need it. By taking out the risk and pain in moving to a different vendor, and performing ALL of the account set-up (e.g. convert-or-design templates, train authors, clean lists, build website forms, integrate with your internal systems), you immediately start benefitting from all that TailoredMail has to offer. Founded by Matt Highsmith - a former marketing executive from Apple Computer - the company's mission is to provide cutting-edge email marketing and internal communications capabilities that build highly engaged subscribers, and offer it via an elegant, easy-to-use tool. TailoredMail was (and still is) the only provider to simplify the creation of dynamic-content without any need for complex 'scripting' (which is how everyone else does it) - instead it's a pure point-and-click experience. This is combined with unparalled real-time reporting that will knock your socks off. TailoredMail enables marketers (either one person, or teams), to build highly engaging and tailored newsletters, targeted campaigns, sequentially-automated drip campaigns, robust surveys and polls, and integrated landing-pages/microsites. The first innovation we brought to the email industry over 15 years ago is the ability to create a single email that adapts to each individual - offering ONLY the content that matches their interests, personal profile/role, or past-behaviors. Since then, we've expanded that innovation by being the first ESPs (email service providers) to offer fully trackable video-in-email, content-import wizards, social-share influencer tracking, content-keyword-tagging, automated inactive-retargeting, real-time A/B optimization, predictive delivery, IP reputation optimization, and real-time geo-driven images and targeting. And that's just a subset of innovations. Finally, we are simply different than any of our competitors. Because of our deep experience in this space, our love of innovation, and never-ending desire to integrate with the latest technologies, you will find us the ideal solution for driving huge gains in your email engagement rates, brand and lead development, and customer/fan loyalty. Whether it be innovations in video, social media, machine-learning (prediction services), or real-time content personalization - you'll know that TailoredMail gives you a scalable email marketing platform to grow with...and 'WOW' your audience.